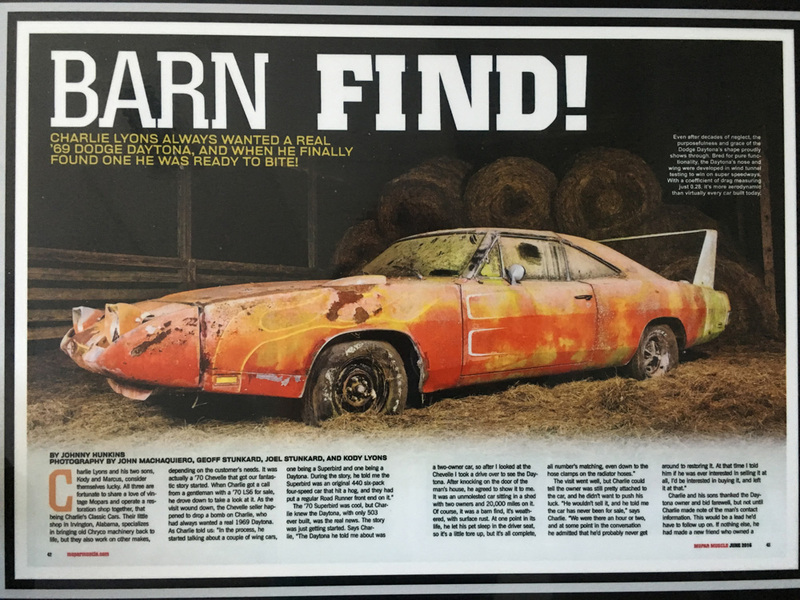 This is the Main/Complete Story of the 1969 Dodge Daytona's Story, from the day we found it to the day it sold at Mecum Auctions. 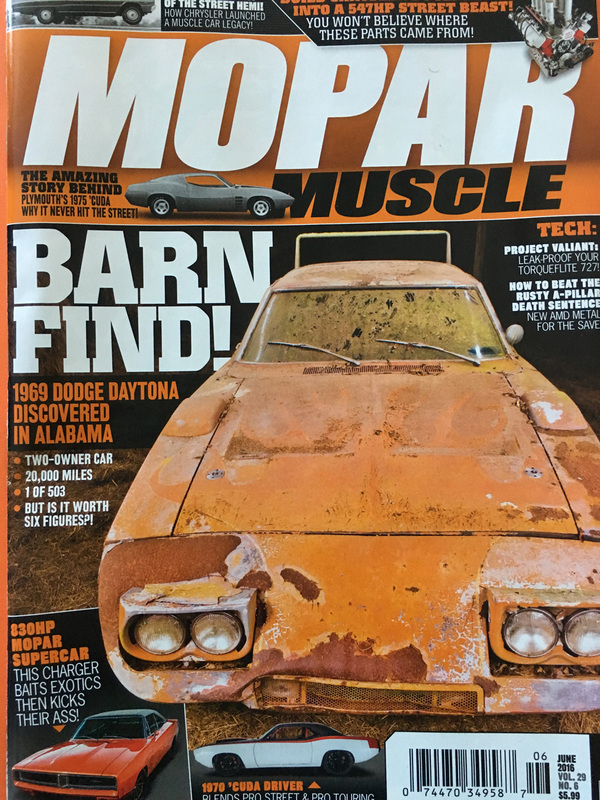 Covered by Mopar Magazine, this story hit the internet on mopar magazines facebook page two days after finding the car, and within 1 day of being on the web it already had over 1 million hits and kept climbing. Its not ever day you find a car like this, that catches the world by storm, but ever day we keep looking because their still out their, and you have to follow ever lead.